Yelloware straight-sided storage jug with blue sponge decoration. Ohio or Minnesota origin c1890-1920. Excellent condition with two minor chips on bottom. 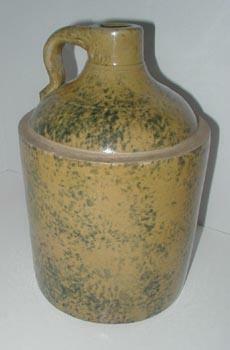 Measures 12" high by 7" in diameter.